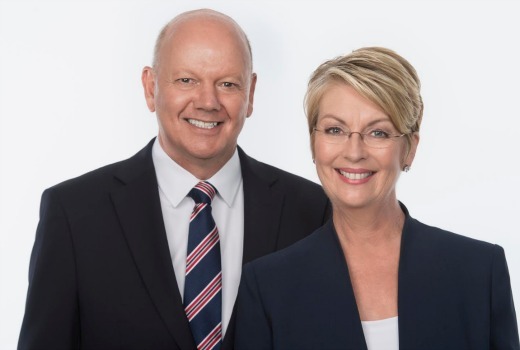 Seven News Adelaide has claimed 400 consecutive weeks – a record in Adelaide. The previous streak for a news bulletin was 92 consecutive weeks, also achieved by Seven, between 2001 and 2003. Presenters Jane Doyle and John Riddell have been reading together since July 2005. “400 weeks is a great milestone, but only achieved thanks to the terrific team at Seven News,” said Doyle. “It’s such a privilege to work with our reporters, producers, cameramen and editors to bring the news into SA homes night after night. John Riddell, who started at Seven in December 1989, said: “400 weeks … Doesn’t time fly when you’re winning. Adelaide’s Director of News, Graham Archer, who replaced Terry Plane in January, said: “It is a stunning achievement for all who’ve contributed to make Seven News this State’s most trusted service for over a decade. What we take great pride in is bringing what matters most to our audience night after night. Seven News is averaging 125,000 viewers while Nine News is averaging 83,000 viewers, down by 1.9% year on year. This is the 17th straight year that Seven News has won the ratings year. And poor Terry Plane, who was the catalyst for most of their success is no longer there. Tough game sometimes, Television. Seven News Adelaide is the best.